This is a guide detailing how to utilize the Joypad mod and a couple other tools to get a seamless multiplayer experience on the same PC! You must know the resolution of your display, if you don't know how to find this, use google. It is assumed that you already have the Joypad mod installed, and that you have your input devices connected and ready. 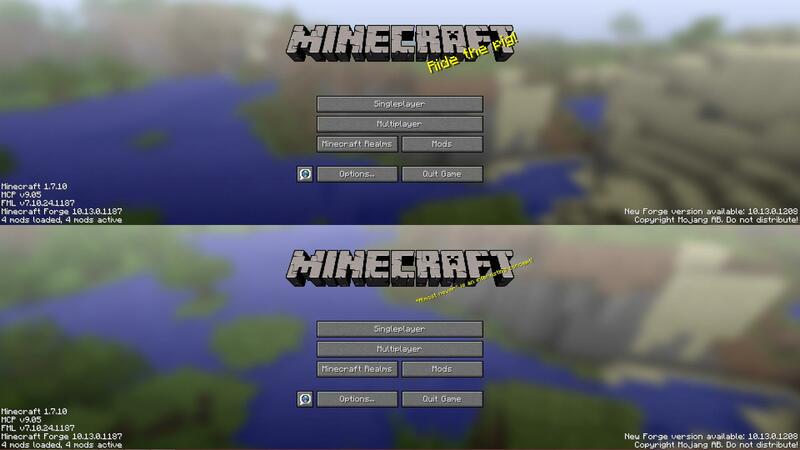 If you don't know how to install or use the Joypad mod, there are already guides elsewhere showing how to do this. Please use google. The first thing you should do before worrying about any window placement, sizing, etc... is to setup the sessions for all of the players that will be playing. You can this most easily by opening the launcher, logging in as the first player, launching the game. Open the launcher again, login as second player, launch the game... etc. If you have problems with the launcher not opening after the first time, right click on the icon and "Run as administrator". You should end up with all of your sessions started like the image below. 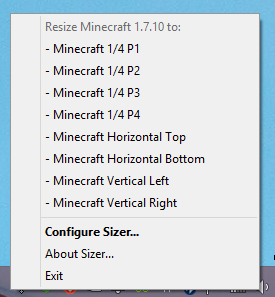 To setup the window size of each session, I used a tool called Sizer (Download in requirements). 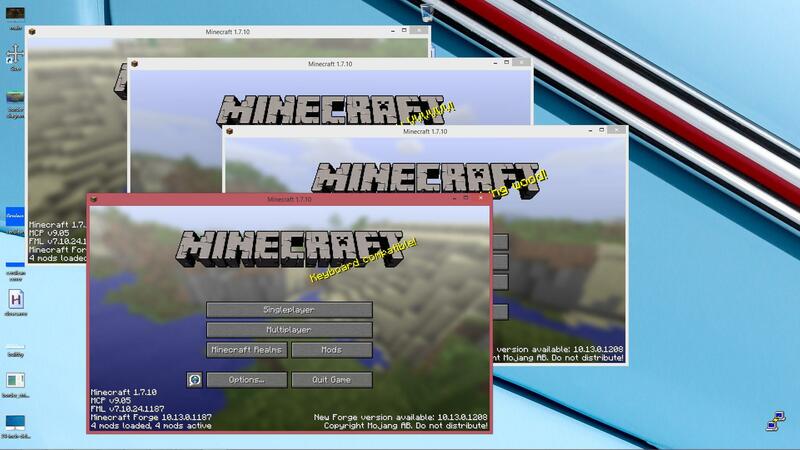 This tool allows you to easily set the exact height and width of each minecraft session. Note that this is the part where you will need to know your screen resolution. 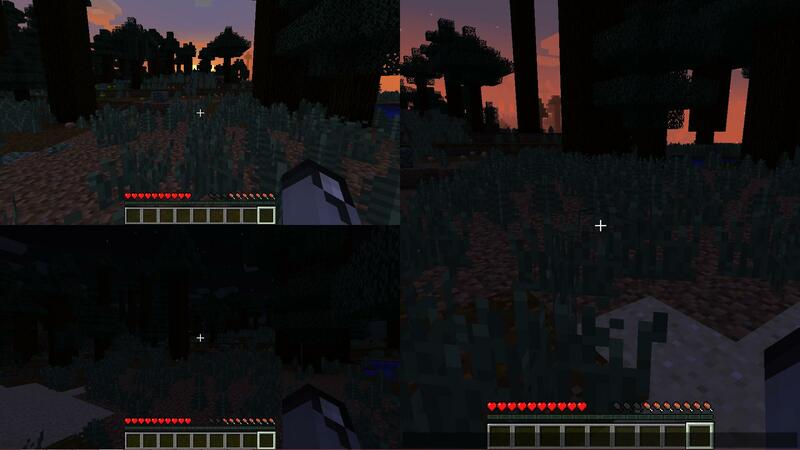 If you plan to host 4 players, each window will need to be half the height and width of your entire resolution to create the 4-tile setup as shown above. 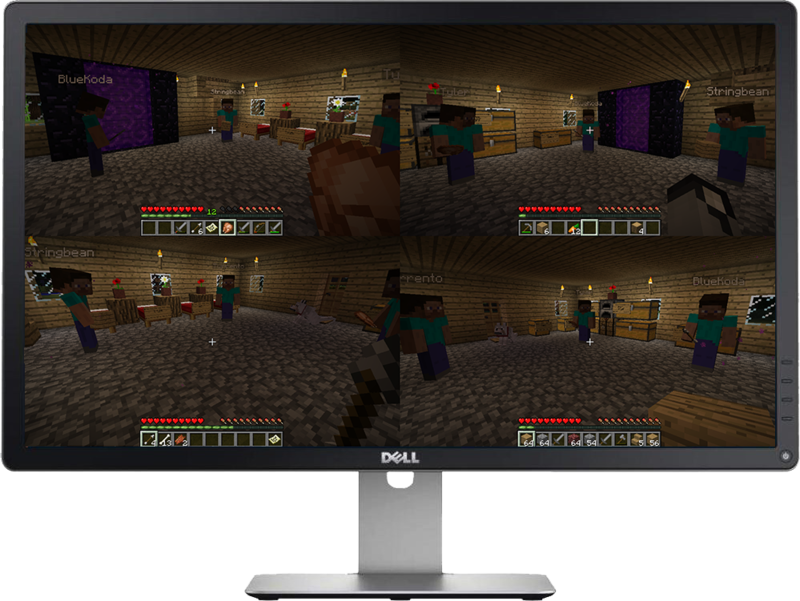 In my case, my display resolution is 1920x1080 (1080p), so I needed each frame to be 960x540. You can do this in sizer after installing and launching it, then right clicking on it's taskbar icon, and click "Configure Sizer..."
I then simply removed all of the preset profiles, and added my own as shown below. I have a position and size for each session 1-4 players. To remove the borders from each window, I used another tool called border_stripper which will only be used to remove each sessions window borders. You'll want to strip all of the borders from your game sessions by moving them all into the right column. They'll all be named the same. After removing all of the borders, you'll then want to select each individual window, and then change it's size and position. 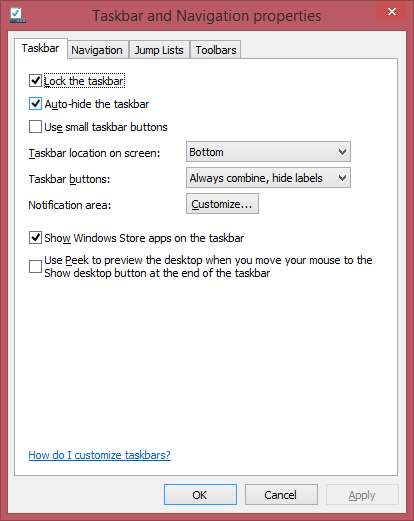 Focus on each one one at a time from the taskbar or alt+tab menu, then right-click on the sizer icon in the taskbar and choose a size for a selected session. Do this for all of your sessions and then you're set. Afterward, you can start configuring each session's controls and which controller will control which. Then have fun! Getting the process right may take some trial and error, but after you get it setup once, it becomes way quicker and easier in the future. You can also reply with any questions and I'll do my best to help. You may want to turn on auto-hide on your taskbar. To do this in windows 8, right click on it, properties, and check "Auto-hide the taskbar"
Screenshot of a 3 player setup, with one player vertically oriented. Screenshot of a 2 player setup.